We don’t think about it much, because it doesn’t get the headlines, but knife control: as dumb as gun control, or even dumber? I carry a knife AND a gun every day. And actually, I have several of each available, for different clothes and different needs (you can’t hang a heavy knife off your 3-season wool suit, but that doesn’t mean you leave home without one). But of course, the gun stays safely tucked out of sight, while the knife gets used and used and used—so that my primary choice, a Benchmade Triage, needs regular resharpening, and shows wear everywhere. 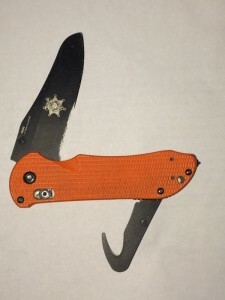 I was prompted to think about this by the recent move to change New York’s “gravity knife” law (fascinatingly criticized by the VERY left-wing Village Voice), which forbids carrying a knife that can be opened with a flick of the wrist—which is the vast majority of pocket knives for sale these days. Some people still carry old-fashioned knives with the nail nick in the blade, but most of us find the pocket clip and opening stud quite a bit more handy. Don’t carry this in NYC, you criminal. But that makes us criminals and liable to arrest in NYC, apparently. That’s one of those shockingly pointless laws that it’s amazing the police are willing to enforce. And you find them everywhere. Here in Colorado they regulate the length of folding knives you carry, and of switchblades you own (even if you don’t carry them). Because being stabbed with a 3” blade is OK, but 4” might be dangerous? I don’t know. I doubt you’ll see an officer-involved shooting where the cop pulled out a ruler before pulling his sidearm. But here’s the other thing—can you make a 2nd Amendment argument for a tool? 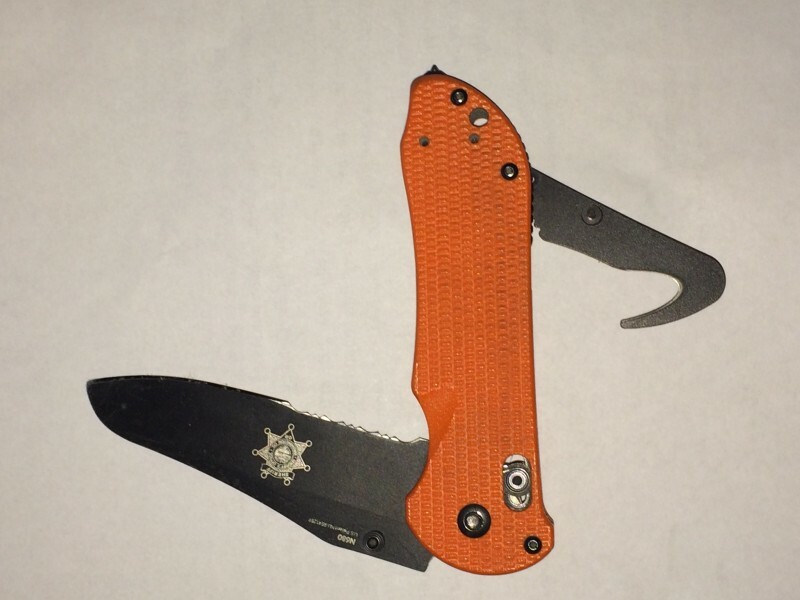 Sure, I could hurt someone with my Triage, but look at that blade—it is very well designed for NOT stabbing someone. Cuts boxes and seatbelts and paracord really well, but it’s about as much of a “weapon” as a framing hammer. All of which comes back to something that has always bothered me, which is that Constitutional arguments kind of miss the point. The point is that the government shouldn’t be telling me what to do, unless I’m actively hurting someone. Not what car to drive, not what knife to carry, not what gun to won, not what movies to watch or whether or not my kids can walk to the park alone. The default should never be “Identify what Constitutional right the government is infringing.” It should be “Identify by what right the government interferes in my liberty,” regardless of what I’m doing. This is a fundamental mistake that we need to correct, in our thinking, in our advocacy, and in our law.